JVC is one of those standard staple Japanese companies that you can trust to build quality headphones at an affordable price range. They have a range of inexpensive headphones vying for the top spot of the best noise cancelling headphones around the world. They are definitely not the greatest, but they are getting there slowly with a large amount of loyal customers harping about the sound quality and the noise cancelling property of their cheap headphones. But when we say “cheap” we do not necessarily mean dirt cheap. The JVC HA-NC250 headphones are a prime example of how to craft one of the best over ear headphones without excessive amounts of frills at a price that says that it has class but also allows people to buy it without many hesitant thoughts. The HA-NC250s are a pair of noise cancelling circumaural headphones that promise comfort and quality. The highs are sparkly, clear and noise free with roomy mids and extremely tight bass-biased frequency response. These are bass-head headphones that do not look like bass-head headphones. With the active noise cancellation on, the sound quality improves dramatically and the noise cancellation works for 50 hours on a single AAA battery charge. With an oblong ear pad and lightweight materials constituting the headphones, the HA-NC250 is quite comfortable and classy to look at. 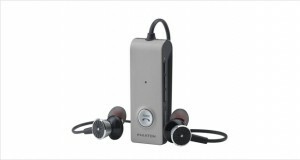 The hard plastic casing does not look cheap and there is very little creaking while wearing it. Dimensions8 x 2.8 x 8.1"
The JVC HA-NC250 headphones are made of hard black plastic with a padded headband for comfortable use. The material seems durable and will withstand a couple of hard falls without much getting in the way of the circuitry. The oblong ear cups along with leatherette pads and foam inserts are extremely comfortable over the ear, leaving it porous enough to breathe. The headband is padded for comfort while listening to it for a long while. The highs are clear and sparkly regardless of what was given to them. The mids are roomy with some muddy undertones here and there but overall quite good sounding. 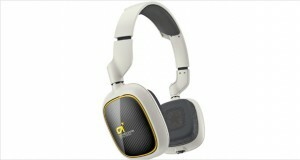 These headphones excel in the bass response with tight bass powering over the other frequency responses. Bass heads will love these pair. The noise reduction works as advertised with low frequency noise disappearing without music and high frequency with the music. Works remarkably well on aeroplanes. 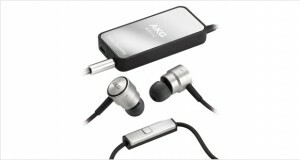 The performance of these headphones is quite great – for the price these are definitely top notch headphones. 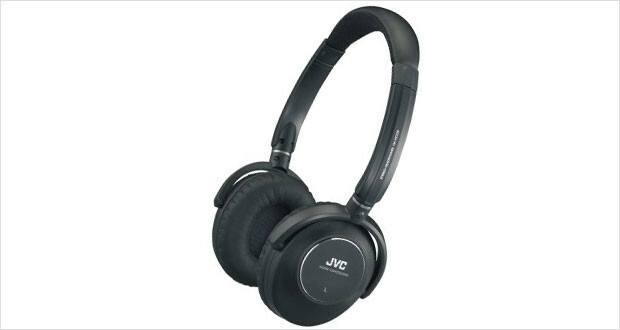 The JVC HA-NC250 headphones are not Bose QuietComforts – not by a long shot. But these are extremely good competition for the QC3s of the world with a price tag of under $100. With great sound and better noise cancellation at work combined with the portability and featherweight mass, these bass-heavy headphones are a worthy buy.